There’s more to wine than white, red or rosé, and a winery in Maharashtra sells absolutely fruity alphonso-flavoured wine. Love fruit as much as your wine? Guess what? 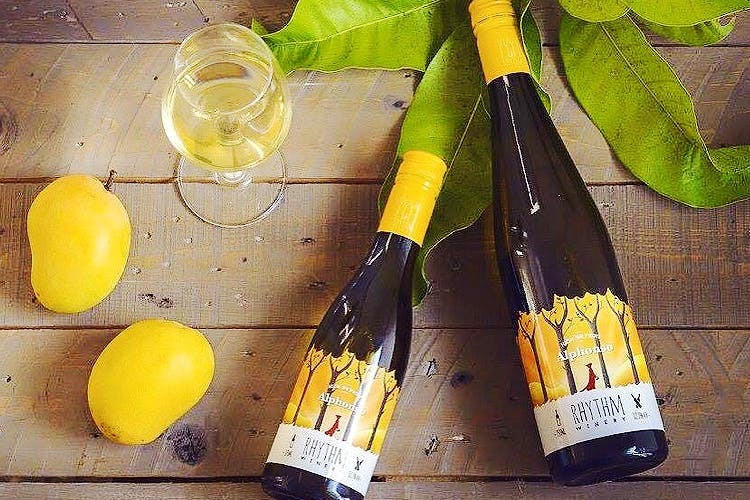 Rhythm Winery is switching up the game, and adding delicious fruity flavours to regular wines. They make everything from strawberry, alphonso, plum, peach and even kiwi flavoured wine. They use fruits according to the season that they are available. We tried their alphonso flavoured wine, and it was simply delicious and refreshing, while of course being boozy. A gift pack can be bought for INR 735 and you can find it at your local wine shops. Find one near you here, and make house parties more interesting with these, maybe? These wines are sold in Mumbai, Pune and Nashik.